Man Bites Dog Records has been on a tear over the past couple years, with recent albums from MHz Legacy, Stu Bangas & Vanderslice, Copywrite, Vast Aire, and more. And with a busy year still ahead, including upcoming releases from Eddie B & Harry Fraud, Illogic & Blockhead, Roc Marciano, and others, label founder R.M.L. 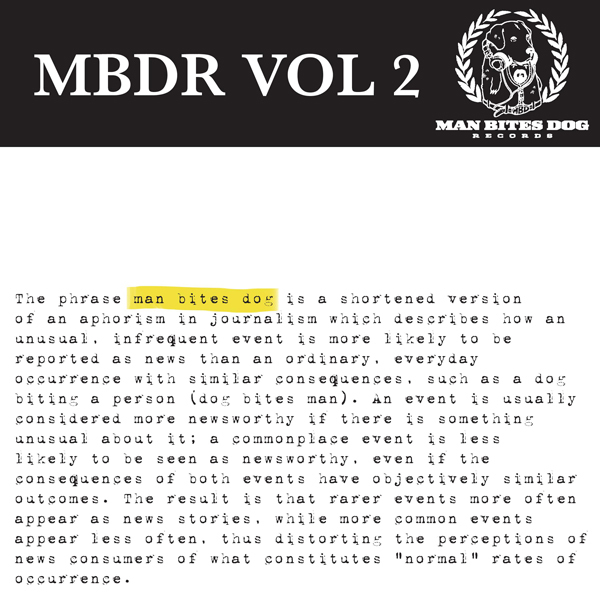 is first excited to release MBDR Volume 2, out today and available for free download via the label’s SoundCloud.